Thinking About Selling a Home? You can find Terri on Facebook and Linkedin. Licensed Real Estate Broker and full time Realtor® since 1998 I truly love what I do. There is more to real estate than just selling or buying. In this ever-changing market, consumers realize the value in real estate as not only their primary home, but also in vacation homes, investment income and retirement planning. Consulting with her clients Terri gains valuable knowledge in which to structure a plan to assist you in achieving your current and future goals. Terri recognizes the necessity to be at the forefront in technology - therefore deploys useful tools, which provide a leading edge in communication, organization, information and efficiency to which your best interests are well served. Terri’s pleasant and easy-going demeanor enables her to associate with a variety of personalities. She focuses on the goal at hand prioritizing your best interest and maintaining objectivity. 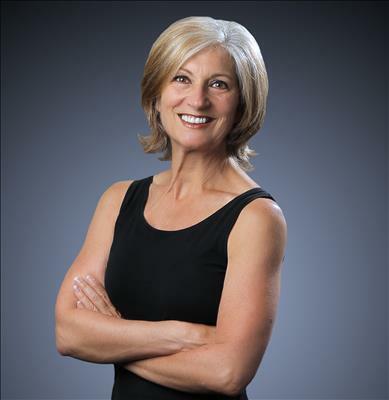 Terri’s approach to real estate is hands-on, open communication with strong listening skills. Terri is a native Californian - born in Southern California and residing in Santa Clara County for well over 40 years. “I am a wife, a mother of two adult sons, and a grandma to four. I have learned the fine art of patience and negotiator, as well as, balance in family and career. My former volunteer experience includes Cub Scout Leader and Trainer, Cub Scout Committee Chairperson, Sunday School Teacher and Youth Education Committee member. Terri’s diverse background encompasses Residential Real Estate, New Home Development and Sales, Commercial-Industrial Real Estate, Real Estate Lending, Escrow, Retail Entrepreneur, Administrator, Human Resource, Sales, Marketing and Accounting. This blending of experience contributes to successfully facilitating the many facets of a real estate transaction. Terri Vellios is competitive and a high achiever which has resulted in finishing on top in her real estate courses. Completed related classes; Real Estate Principles, Real Estate Practice, Real Estate Appraisal, Real Estate Economics, Legal Aspects of Real Estate, Real Estate Property Management, Real Estate Finance and Real Estate Investment at West Valley. Accredited Buyers Representative (ABR), SRES®, Senior Real Estate Specialist, and Client Safety, Transfer Disclosure, Agency, Ethics, 1031 Exchange, Negotiation, and Working with Sellers and Buyers, Contracts. Terri is a Keller Williams BOLD graduate 3 times, C.M.P.S.S. (Creative Marketing Promotions & Sales Specialization) graduate, MCNE (Master Certified Negotiator Expert), attended workshops on Probates, a Mentor to new agents, leads real estate classes in the office, also served several terms on ALC (Associate Leadership Council) plus holds the distinguished California Real Estate Brokers License. I will definitely use Terri Vellios again....I highly recommend her for all your real estate needs...I was impressed...honest & fairness...positive experience...kept me informed and educated...appreciate all your time and effort in getting it all to come together...you are fantastic...favorable outcome for everyone involved...Terri, you're number one...Thank you so much for everything, you made it so easy...You have done more in 3 days than most realtors do in 3 months…Terri doesn't disappear after the close of escrow.. Call Terri today and experience results with personalized service.